18 Butte County Teachers, who lost their homes in the Camp Fire traveled to the National College Football game on Monday, January 7th between Clemson and Alabama at Levi Stadium in Santa Clara. The College Football Playoff (CFP) Foundation recognized these teachers, along with California's Teachers of the Year. 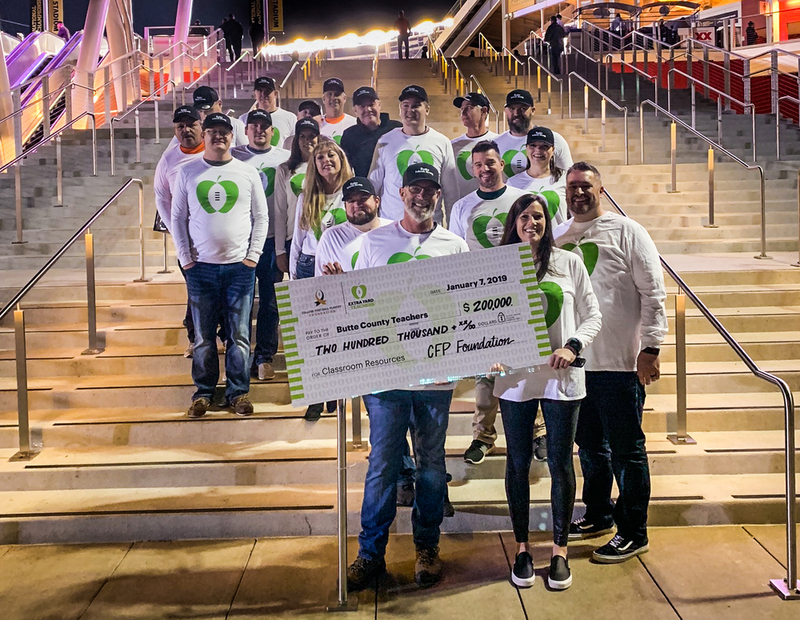 The CFP also presented the Butte County teachers with a check for $200,000 to help replace classroom supplies lost in the Camp Fire. Tim Taylor helped organize the recognition and accompanied the group to Santa Clara.